Harry Edge was born in Wolverhampton in 1895, the son of Thomas Henry and Emma Jane Edge. In 1901, they were living in 89 Heath Street, Heath Town, and Harry and his parents were joined by his brothers George, Richard and William, and sister Edith. He was educated at Causeway Lake School in Alma Street, and later worked at Joseph Evans and Sons, Culwell Works, Heath Town. He enlisted in the 13th Siege Battery of the Royal Garrison Artillery as a Gunner on 28 August 1914. He was wounded by a piece of shell on 28 July 1916, and later died the same day. He appears in the Midland Counties Express on 18 November 1916, where it is stated that he was “greatly esteemed by the officers and men of his battery”. By this date, his mother’s address was given as 103 Heath Street. The article also mentioned two of his brothers who were also serving, Gunner Richard Edge of the Royal Garrison Artillery (who had spent five years in Africa under General Botha), and Bugler Edge of the Field Ambulance who had been with the Territorial Force for 8 years, including two years at the front. Harry Edge is commemorated at the Warloy-Baillon Communal Cemetery Extension in France, as well as on the Heath Park memorial. William J. Davies was born in Willenhall in around 1893, the son of Richard and Emily Davies. By 1901, the family were living at 414 Newhampton Road West in Wolverhampton. William appeared with his parents, his brothers Frank, George G., and Harry, and his sister Jane. He attended Springfield Road Council Schools, and later was employed at the London and North Western sheds at Bushbury. He enlisted as a Gunner with the Royal Field Artillery (number 99868). He was killed in action on the 9 September 1916 at the age of 23, by which stage his parents were living at 71 Coleman Street, Whitmore Reans. 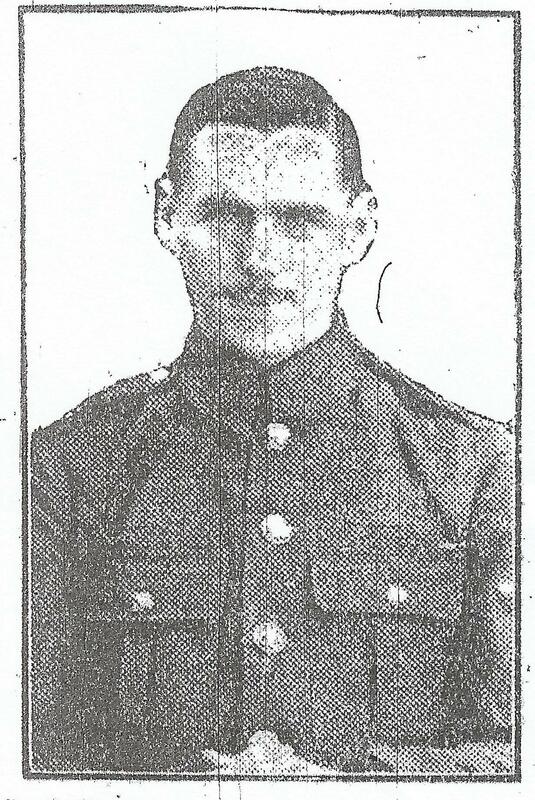 He appeared in the Midland Counties Express “Pictorial Roll of Honour” on 18 November 1916. He is commemorated at the Euston Road Cemetery, Colincamps, in France. William Antwis was born in Wolverhampton in 1890, the son of William and Mary. In 1901, they were living at 12 Derry Street, together with William’s brother, Thomas. 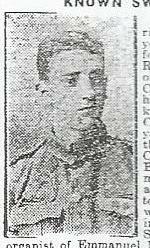 William enlisted with the 1st Battalion of the South Staffordshire Regiment (number 19083). He died on 26 October 1917 at the age of 27, and is commemorated on the Tyne Cot Memorial. He also appears on the memorial for the Monmoor & Victoria Works, so presumably he was a former employee there. John Evans was born in Wolverhampton in around 1889. Given his common name, there are a couple of possibilities for him in the 1901 census (using the other information we have about him). He is either the 12-year old John Evans living at 12 Dixon Street (with parents John and Maria, brothers Harry and Percy, sisters Clara, Lilly and Maud, and a boarder Charlie Wright) or the 11-year old John Joseph Evans at 13 Boscobel Place (with parents John and Lydia Elizabeth, brothers Arthur and Francis W., and sister Clara). In 1907, he enlisted with the 1st Battalion of the South Staffordshire Regiment (number 8498) and rose to become Lance Corporal. During the course of his service he was twice stationed in Africa and once in Gibraltar. On 28 October 1914 he tried to rescue a wounded officer “who lay in a dangerous position”, and was killed himself. An article in the Express & Star dated 13 February 1915 described these circumstances. His father, Mr J. J. Evans, of 1a Red Hill Street, off Stafford Street, had received a postcard from his son’s sergeant, who himself had been wounded and lay in a Bournemouth hospital. John Evans is commemorated a the Ypres (Menin Gate) Memorial. He may also appear on the memorial of the Wolverhampton Higher Grade School (where there is a “J. Evans”). Albert Edward Pearce was born in Wolverhampton in 1891, the son of Robert and Mary Ann Pearce (nee Scanlon). In 1901 they were living at No 7 Court 5, Littles Lane, together with Albert’s brother Robert Hugh and sister Harriet. In 1911 they were at 1 House 6 Court Littles Lane, by which stage Albert had become a labourer for a tube manufacturer. Albert enlisted in the Royal Garrison Artillery on 10 December 1915 (number 133227) as a Gunner. In March 1917 he was confined to his barracks for 7 days for “conduct to the prejudice of good order”. In July 1917 he was confined to his barracks for 9 days and forfeited 1 day’s pay for, among other things, drunkenness and overstaying his leave. He survived the war, and was demobilised in October 1919. He married Mary A. Southall in 1924. The couple do not appear to have had any children. Albert died at the age of 72 in 1963. George Hidens was born in Wolverhampton in 1892, the son of Joseph and Elizabeth Hidens (nee Smith). In 1901 they were living at 15 Gibbs Street, Whitmore Reans, together with George’s brothers Joseph and Frederick and sister Esther. They were at the same address in 1911, and were joined by George’s sister Florence. By this date, George had become a canal boat builder like his father. George first enlisted in the army on 27 August 1908 at the age of 17, serving four years with the 3rd North Midland Ambulance Regiment (number 320). When war broke out he reenlisted with the Royal Army Medical Corps (number 421010), attaining the rank of Staff Sergeant. He died on the 24 April 1917, and is buried at the Canadian Cemetery No.2, Neuville-St. Vaast, France. He also appears on the RAMC memorial in St Peter’s Church, as well as on the memorial of Queen Street Congregational Church. Arthur Simister was born in 1898 in Bushbury (his birth was registered at Cannock), the son of George and Mary Simister. In 1901, the family were living at 20 Sherwood Terrace, and the household consisted of Arthur and his parents, brothers Thomas, Frank and Alfred, and sisters Rose and Elsie. By 1911, they had moved to Hednesford in Staffordshire. The only children still living with their parents by this date were Arthur, Alfred and Herbert. On 22 April 1915, Arthur enlisted with the 15th Battalion of the King’s Royal Rifle Corps (number R/12382). His military records include the fact that he was deprived 10 days’ pay on 19 May 1916 for “Disobedience of Battalion orders re throwing away old clothes.” Later in the year he had a hernia and was admitted to hospital. In August 1917 he was wounded in the arm and leg by bullets. He died on 1 September 1918, and is commemorated at the Vis-En-Artois Memorial. He is also listed on the Bushbury memorial at St Mary’s Church. Arthur Farrington Warner was born in Warrington on 13 February 1895, to parents Matthew Richard and Annie Warner. They moved to Wolverhampton, and by the 1901 census were living at 39 Chapel Ash, together with Arthur’s brothers Charles Matthew, Frank Savill and Harold Lumley, and a servant, Esther Hayward. He started attending Wolverhampton Grammar School in January 1905 and left in December 1910. He then became an apprentice at the Briton Motor Works. He was also an active worker in St Mark’s Sunday Schools and honorary organist of Emmanuel Mission Church. On 2 May 1916 he enlisted as a Gunner with the A Company of the Machine Gun Corps (Heavy Section) (number 30874 and later 206173). He was killed in action on 29 October 1916, and details of his life and sporting achievements were featured in the Midland Counties Express on 18 November 1916. He is commemorated at the Thiepval Memorial and at the St Jude’s Church Memorial in Tettenhall. He is also remembered on a family grave at St Philip’s Church. Wolverhampton Grammar School have also featured him on their site for “Old Wulfrunians who Died in World War One.” Discussion about his life also appears on the Great War Forum. Joseph Henry Nicholls was born in 1892 in Wolverhampton, the son of John and Mary Nicholls. He attended All Saints’ School, and in 1901, was living at 45 All Saints Road. Joseph and his parents were joined by his brothers Frederick and Herbert, his sister Martha, his great-aunt Caroline Fisher, and John Bennett, a boarder. 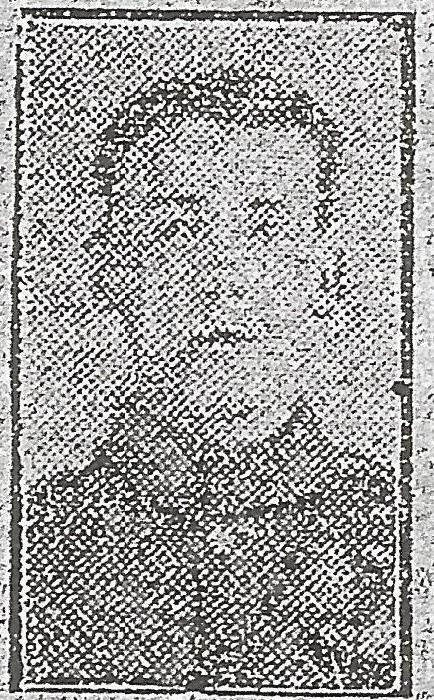 According to a piece in the Midland Counties Express dated 18 November 1916, enlisted in September 1914, as soon as he read in the Express & Star that a Non-Manual Battalion was being raised locally. He joined the 6th Battalion of the South Staffordshire Regiment (number 3007), and apparently “thoroughly enjoyed the period of training and evinced the very greatest interest in all the duties that military life laid upon him.” On 1 July 1916, he was killed “in the course of terrible fighting”. He is commemorated at the Thiepval Memorial. W J Dancer is listed on the Weldless Steel Tube Company Roll of Honour, as an employee of the company who had served during the First World War. As he does not have a gold cross by his name, we can assume that he survived. The record of William Joseph Dancer’s birth registered at Wolverhampton in the quarter ended June 1898 was traced via FreeBMD. William Joseph’s military service records give us further details. He served with the 5th Battalion South Staffordshire Regiment (no 27744), and at the time of enlistment was living at 30 Rookery Street, Wednesfield. He was a tube worker. He later transferred to the Labour Corps. His height was only 4ft 11 3/8ths inches, and his next of kin was initially “Joseph Dancer 20 Rookery St Wednesfield Father”, but this was then crossed out, and “Mrs Elizabeth Peers 23 Cross Street Wednesfield Aunt” written above. He was wounded by heavy artillery on 22 October 1917 and received a gun shot wound in the right buttock on 24 September 1918. His Medal Index Card confirms S Staffs R Pte No 203446, then Labour Corps No 397393. The “Long, Long Trail” gives information about the Labour Corps, which was formed in January 1917 and manned by men medically rated below “A. They were often deployed for work within range of enemy guns, sometimes for lengthy periods. At the time of the 1901 Census, William J, age 2, Birth Year 1899, was living at Rookery Street, Wednesfield with his mother Sarah, shown as “wife” on the census form – her husband was not present, age 29, occupation Colour Stover. Lily Lathe, age 11 was also present as a Visitor on census day All 3 are recorded as born at Wednesfield. By 1911, William Dancer, age 12, scholar, Birth Place Wednesfield, was living with his mother Sarah age 39, a widow, Occupation Shopkeeper, born Staffordshire parish, recorded as having had 3 children, 2 surviving, in 3 rooms at 50 Rookery Street, Wednesfield. Sarah Dancer’s death, at the age of 44, was registered at Wolverhampton in the quarter ended June 1916. The marriage of William J Dancer to Eliza Lees was registered at Wolverhampton in the quarter to December 1929, and a child, William J Dancer, Mother Lees, was registered in the quarter ended March 1931, at Wolverhampton. Sadly, it seems William survived only to age 34, as William J Dancer’s death was registered at Wolverhampton in the quarter ended June 1932.